What you are doing is not good. You and the people with you will certainly wear yourselves out, for the thing is too heavy for you. You are not able to do it alone. Now obey my voice; I will give you advice, and God be with you! You shall represent the people before God and bring their cases to God, and you shall warn them about the statutes and the laws, and make them know the way in which they must walk and what they must do. Moreover, look for able men from all the people, men who fear God, who are trustworthy and hate a bribe, and place such men over the people as chiefs of thousands, of hundreds, of fifties, and of tens. And let them judge the people at all times. Every great matter they shall bring to you, but any small matter they shall decide themselves. So it will be easier for you, and they will bear the burden with you. If you do this, God will direct you, you will be able to endure, and all this people also will go to their place in peace (Exodus 18:17b-23). Leaders are to be wisely chosen. Jethro gives Moses what essentially could be an Old Testament equivalent to 1 Timothy 3:1-13 (Ex 18:21, 25). Leaders are to have high moral character (Ex 18:21). Not everyone can serve as leaders. Additional leaders make the job of leading easier (Ex 18:22). Delegating leadership responsibilities to other qualified individuals enlarges the impact of your leadership (Ex 18:22-23, 25-26). Delegated leadership will help all of the leaders be able to endure the arduous task of leading and not become worn out, exhausted or discouraged (Ex 18:17-18, 23). 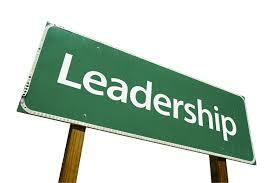 Delegated leadership will result in the organization functioning more effectively and efficiently (Ex 18:23, 25-26). How are you leading? What facet of leadership from Exodus 18 do you need to work on?